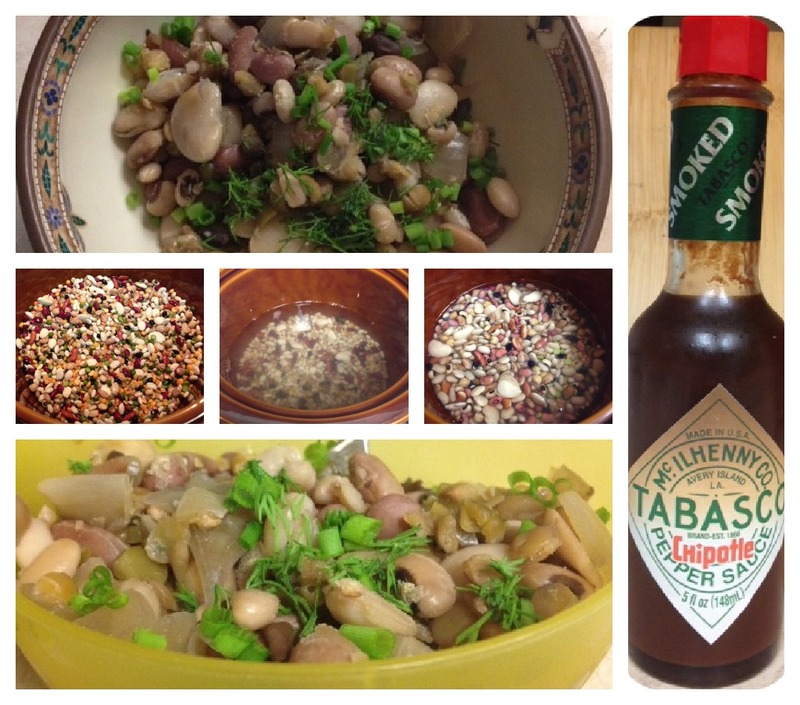 The original recipe for these Savory Beans comes from a really good cookbook titled, Not Your Mother's Slow Cooker Cookbook. I used Bob's Red Mill 13 Bean Soup Mix. Here's the gist of the recipe. I made some changes along the way. 11. Cook on High 8 hours or until the beans are tender. When I dished the beans up, I chopped up fresh chives and dill on top. Then I added a couple dashes of Tabasco Chipotle Pepper Sauce. Don't add too much or the flavor takes over. Add cornbread if you wish and DIG IN!! The kids needed some shredded cheese on top to help it go down, but they ate it.